You’ve heard the saying before: Ministry is a lonely place. You know the toll that it can take on your walk, your health, and your time with your family. No doubt you have some difficult and stubborn sheep in your flock who give you trouble on a seemingly consistent basis. We knew ministry was hard, but sometimes we are blindsided with just how hard it can be. Pick up a book on the history of preaching. You’ll be surprised how many great preachers of the past were plagued with depression. We knew ministry was hard, but sometimes we are blindsided with just how hard it can be. Now, by depression I don’t mean that each of them was clinically diagnosed. However, several preachers of the past had recurring cycles of deep feelings of sadness or despair. The pressures of ministry and a frail human nature led these men, at times, to be overcome with gloom. Every minister has been here before: the questioning of the call, the anxiety over responsibilities, the overwhelming urge to quit. Sometimes it seems unbearable. I’ve been there. But allow Spurgeon to provide some needed context for our ministerial suffering. Depression should not catch a pastor by surprise. Spurgeon acknowledges that the presence of depression, like any other form of suffering, should not surprise the pastor: “Even under the economy of redemption it is most clear that we are to endure infirmities…” Here, Spurgeon is echoing what Peter teaches in 1 Peter 4:12, “Beloved, do not be surprised at the fiery trial when it comes upon you to test you, as though something strange were happening to you” (ESV). Peter is speaking of the persecution his audience is facing, but Spurgeon knows that the counsel of the New Testament teaches believers that suffering is common way that God sanctifies his children (Rom 5:3; Col 1:24; 2 Tim 1:8; Jas 1:2-4). He applies this biblical understanding to the “infirmities” of depression. Spurgeon continues the quote above, “Otherwise, there [would be] no need of the promised Spirit to help us in them.” The biblical pattern is that our Lord often allows us to suffer in various ways so that we grow in our sanctification. Depression is a form of suffering, so it should not surprise us that God would allow some of us to be refined with this particular form of fire. One danger in ministry is to succumb to the loneliness. Another danger is to believe the accolades you receive. The poison of arrogance is deceptive and not always easily recognizable. There will be successes in ministry, and these successes can lead us to become swollen with pride. In the quote above, Spurgeon calls depression “the gracious discipline of mercy.” He knows that pride makes us a worthless instrument (i.e., “chaff”). Therefore, it may be necessary for God to graciously and mercifully allow us to experience depression so that we remain humble—and if humble, then useable in his hand. Depression, as awful and gut-wrenching as it is, reveals to us once more “that we are but men.” Our sinful natures and the fallen world in which we live beat us down, sometimes to the point of despair. We are weak; we cannot change our circumstance; our failures are insurmountable. But we have a Savior who is almighty, who sits on the throne of heaven at the right hand of the Everlasting Father, who is sovereign, and who reigns over this universe. Christ is Lord. Depression tells us we are weak. Yet, our weakness can drive us to the fountain of strength. Depression tells us the world is not right. However, we can rest in the assurance that our ruling King will one day set all wrongs right. 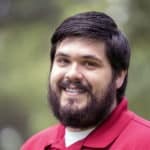 Aaron S. Halstead serves as the Assistant for the School of Preaching at Southwestern Baptist Theological Seminary, the Coordinator for the Center for Text Driven Preaching, and the Editorial and Content Manager for preachingsource.com. He received an M.Div. from Southwestern Seminary in 2017 and is a current Th.M. student in Southwestern’s School of Preaching. He is also a small group leader and Bible study teacher at Hulen Street Church, where he is a member.